This young dog was imported to enhance our Irish lines. 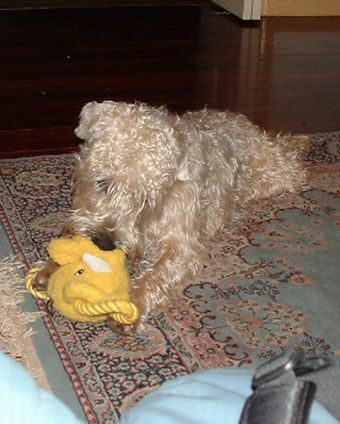 He is a wonderfully happy character with great Wheaten type. We feel sure he will be an asset to the stud and we are hoping for success with him in the show ring. His first litter is "pure" Irish and we are delighted with the result.